Did you know that according to Ashley’s Book The Sailor and His Knots, there are 256 different over and under variations of tying the Carrick Bend! 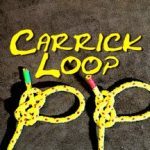 The Carrick Bend is also known as the Full Carrick Bend, Sailor’s Knot and Anchor Bend. Also according to Ashley’s it is the nearest thing to being a perfect bend. It would appear that the only real downside is that the knot can be a little on the bulky side. 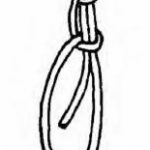 In the picture below, this is the securest method of tying the Carrick Bend. 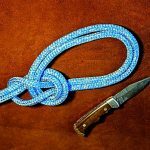 The Carrick Bend has the following excellent qualities; It is easy to tie and does not easily slip even when the material is wet. 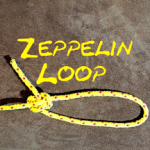 It does not jam and is easily untied. Finally it is one of the strongest knots! 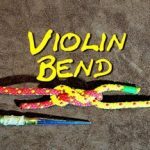 In the video I show two ways of tying the Carrick Bend. The first way is the less secure way, where the working ends exit the knot on the same side. 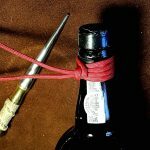 The Second way, which is also the most secure way to tie a Carrick bend, you will notice that the working ends come out diagonally opposite each other.